For those of you who don't know, I live in a shoebox, A.K.A. a two bedroom apartment with 3 kids, two adults, and a dog. 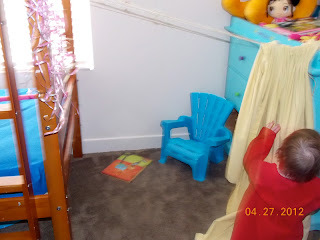 There isn't much space for the kids to have quiet time on their own, so one day I made them a makeshift hideaway in the corner of their bedroom. Don't you just love the dresser with the missing drawer? Oh yeah. They loved it, but it just wasn't what they needed. By that I mean it wasn't good enough for me. The first thing I did was replace the dresser with one that had all the drawers. What a concept! I didn't like the dresser where it was, so I swapped it with the bookcase and that is how this cozy corner went from a hideaway to a book nook. The next thing I did was sew a little curtain. I hung it by attaching a hook to the bunk bed and another to the walls. I ran twine across and hung the curtain. I printed and laminated some reading posters and threw in a few chairs. 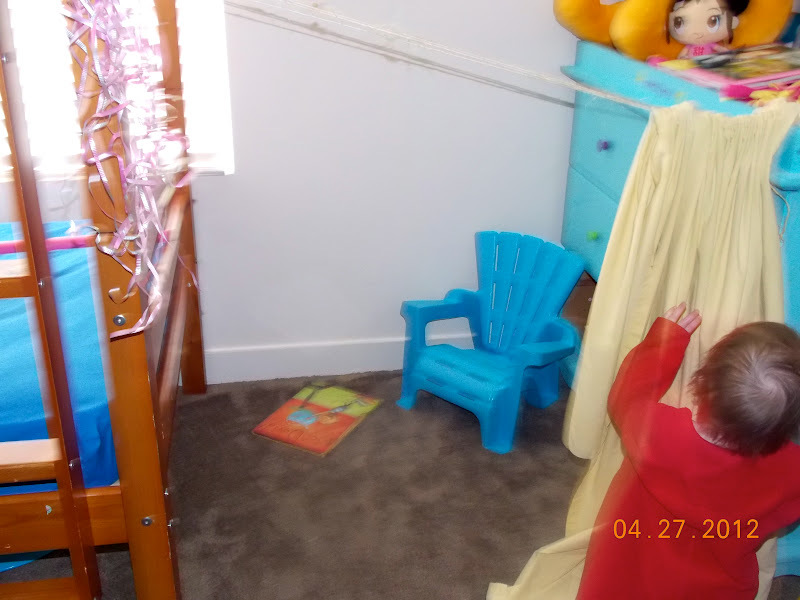 The kids absolutely love their reading nook, and it makes them feel like they have a bit more space. Daxamillion gettin' his read on. Do you live in a tiny space? How do make it feel bigger? You certainly have made it cute!